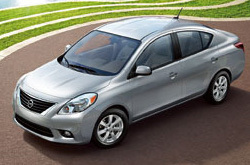 Make the most out of your next Versa purchase by reading a review of the 2013 Nissan Versa before you buy. It's our job to present Nissan reviews authored by the most outstanding automotive writers in the business - it's just one of the things that makes us a leading Nissan franchise in Dallas - Fort Worth. Make educated decisions when it comes to your next auto purchase, don't take guesses! Each paragraph is bundled with facts and vehicle features in way that's easy to understand. Texas Nissan is always available 7 days a week to answer questions you have. Do not hesitate to call us to speak with our Versa specialists. When comparing the 2013 Nissan Versa to the 2013 Hyundai Accent, Ford Fiesta and the Chevy Sonic, and you'll notice that the Versa trumps those autos in several aspects. Check out just a few of the reasons below. 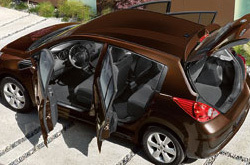 Take a peek inside the 2013 Versa - view video now! To find amazing Nissan repair techs and real factory-made parts, Dallas - Fort Worth Versa owners need not travel far. Go to a shop close to your residency, and benefit from the peacefulness that comes with receiving reliable repairs and a generous warranty on every job. Even the quality Nissans in Dallas - Fort Worth can take a beating, so turn to the Nissan service and autp repair aces in Dallas - Fort Worth at Texas Nissan. Just a small percentage of the jobs our Nissan repair crew do includes battery replacement, transmission repair and easy speedy filter and oil changes. For both more complicated and straightforward services, our Dallas - Fort Worth car repair center does everything; what's more Texas Nissan offers nominal maintenance pricing. Follow the link below to see our current service specials.